Size: approx. 20x40 mm. Photo: 08/08/11, 7 pm. What an amazing moth! 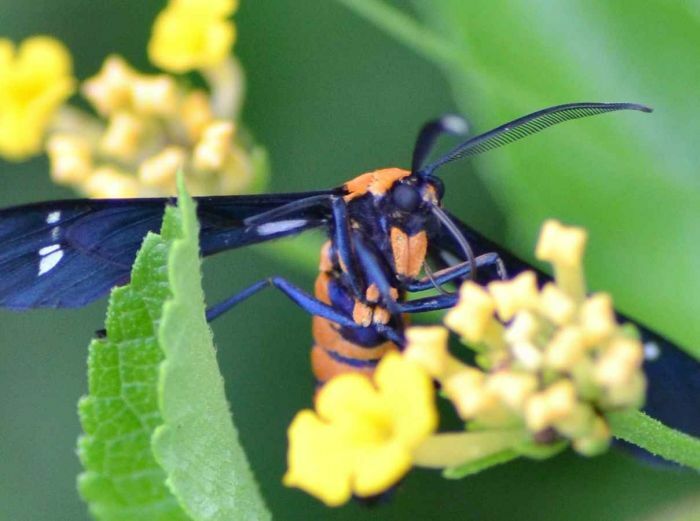 This is Syntomeida ipomoeae (Yellow-Banded Wasp Moth). The wing span is at least 4 cm and the orange color/black really striking. Apparently this moth is only found in Florida and Georgia. 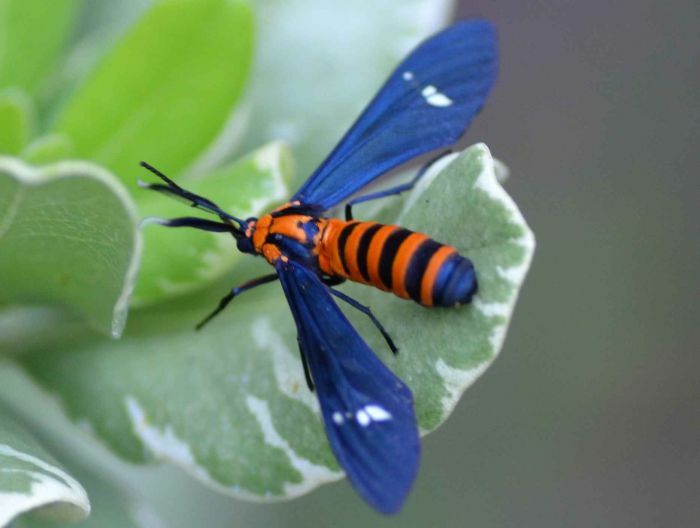 In my opinion, the name of its tribe--Tiger Moths--does it more justice than its common name.